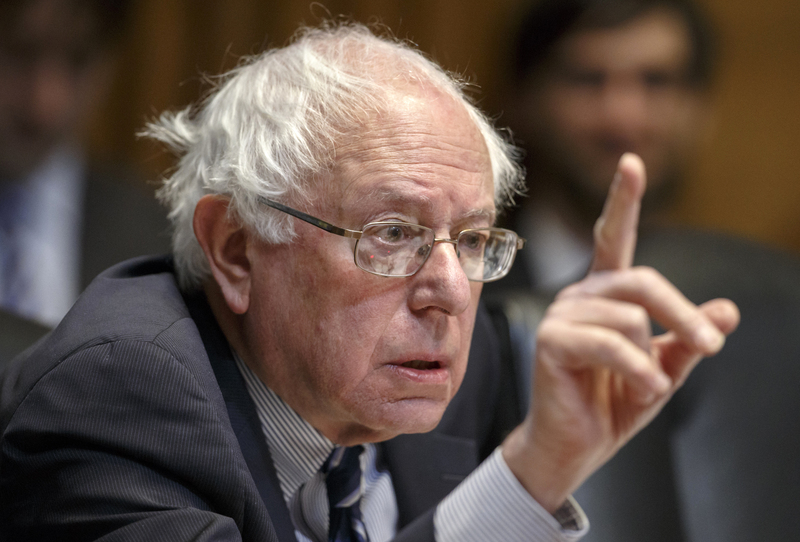 Vermont Senator Bernie Sanders is planning a Social Security fight. (Bloomberg Politics) — Vermont Senator Bernie Sanders is hoping the third rail of American politics—Social Security benefit cuts, which Republicans have yet to propose—will give a charge to his long-shot 2016 presidential campaign. Not even Representative Paul Ryan, the Republican budget- and Medicare-slashing visionary, dared include in his budget blueprints politically hazardous reductions in the old-age and disability program. Yet Sanders, a 73-year-old independent who caucuses with Democrats, says House Republicans have already fired a warning shot that they’ll try to scale back future payouts under Social Security. “Republicans are manufacturing a phony crisis in Social Security in order to cut the earned benefits of millions of the most vulnerable people in this country,” Sanders says in a report he issued today. Senator Orrin Hatch of Utah today confirmed Sanders’ argument that Republicans want to make changes to Social Security, remarking that the last time Congress reallocated funds was in 1994, a move intended to buy time to restructure the program. Those changes never came, and now Democrats want to do the same thing, Hatch said. “Punt now to provide time for later action,” he said. “I urge the administration and my friends on the other side of the aisle to work with me,” to make changes. Sanders’s report argues that it is unnecessary to cut Social Security benefits in order to shore up the program’s long-term solvency. It’s part of a bigger income and wealth inequality argument Sanders is making as he’s courts the progressive wing of the Democratic Party. Sanders is among the liberal progressives considering a challenge to Democrat Hillary Clinton for the 2016 Democratic nomination. Whereas progressive favorite Massachusetts Senator Elizabeth Warren has repeatedly insisted she is not interested in running, Sanders has been traveling the country and openly flirting with a run. House Republicans last month passed a rule change that Sanders said could lead to a 20 percent cut for Social Security beneficiaries who receive disability payments. The new rule would bar a routine transfer of funds to the Social Security Disability Trust Fund, which is expected to run short of money to pay full benefits by late 2016. The procedural change might force a confrontation over Social Security this year. Sanders is using his new perch as the top Democrat on the budget committee to become a self-styled defender of the Franklin Delano Roosevelt-era program long considered by both parties to be an untouchable component of U.S. politics. He held a briefing today, and plans to use a hearing tomorrow to amplify his argument. He’ll need a third-rail issue like Social Security to ignite his campaign. According to a recent poll by the Democrat- aligned Public Policy Polling group, two percent of Democrats said they’d like to see him as the candidate, behind Warren at 10 percent, and Biden at 15 percent. Clinton was favored by 60 percent. Under current projections, by late 2016 there will only be enough tax income to fund 81 percent of scheduled disability benefits, because, on a percentage basis, benefits grow faster than the tax base. Both the number of beneficiaries and per capita benefits are growing, according to a recent analysis by Chuck Blahous, a public trustee for Social Security and Medicare. “The best solution is comprehensive reform” of both old- age and disabilty benefits, concludes Blahous, who led former President George W. Bush’s Social Security commission. “Procrastinating for much longer worsens the risk that Social Security’s shortfall cannot be corrected at all, and that its historical financing structure will eventually have to be abandoned,” Blahous wrote. Sanders argues that the Social Security retirement and disability insurance trust funds have a combined $2.8 trillion surplus and can pay full benefits for the next 18 years.